Wow, what a mental couple of months we have had. Everything took its toll on me, I must admit, and my reading took a backseat whilst I got my head in order and back into the rhythm of life in general. However, I have done some reading and attending the Young Adult Literature Convention (YALC) in London at the end of July has left me back in love with books and raring to read everything I can get my hands on – especially all the things I picked up there after listening to authors and publishers talking about them. Their enthusiasm was contagious and I’m still riding on the high of it all now I am home. Looking at my June TBR, I didn’t do very well with that. 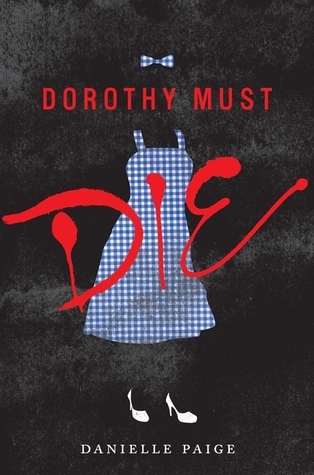 I did finish Dorothy Must Die by Danielle Paige (5/5*) and it was a brilliantly dark and twisted story based on the Wizard Of Oz tale we all know. I will definitely be getting hold of the rest of the series at some point because I’d love to go back into that broken and warped version of Oz again and see how things develop. I started Night World Volume 2 by L.J. Smith but gave up half way through the first book. I can see why 12 year old me loved the first books in this series and I will always hold them affectionately in my memory as the books that introduced me to the urban fantasy style that I love so much but now I’m older I just found it flat and dull. The idea of the world is still rich and clever but I have simply advanced in my reading level and they felt like too much effort for not enough reward. I will stick to my fond memories of them, I think. 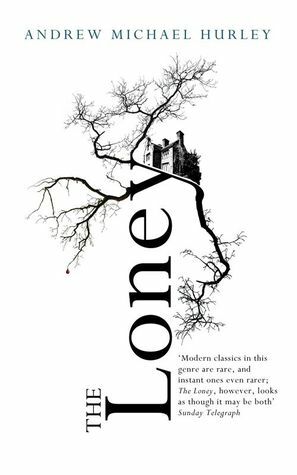 I also made a valiant effort to read The Loney by Andrew Michael Hurley but gave up in frustration. I was really looking forward to it, having being lured in by the amazing cover design, but sadly fell foul of the ‘never judge a book by its cover’ adage for the first time in AGES. 10 out of 10 to the cover artist. The story itself however, felt slow and overly complicated, the writing felt like it was trying too hard to be literary and used big words just for the sake of it. I didn’t care about the characters, I didn’t care about the story and although I could see where tension and fear was supposed to be built in the text, it was such hard work to read, none of it worked. It was flat and heavy. I put it down for a while and tried picking it up again, thinking maybe I’d just been having a bad day. I hadn’t. I gave up – Life is too short to read books you don’t like. On to July – I didn’t have a TBR for this month, I just wanted to read something I didn’t hate! The Mozart Question by Michael Morpurgo (5/5*) was another brilliant illustrated short read. A poignant, sensitive story about the effects the Holocaust had on those who were lucky enough to survive and their families. It may have not been long but it was full of heart and brought tears to my eyes and rekindled the rage and sorrow inside at the fact that the Holocaust was ever allowed to happen. Heart-Shaped Box by Joe Hill (4/5*) was a birthday present and has been on my wish list for ages so I was glad when I really enjoyed it. Not quite as polished as his later work, Heart-Shaped Box was creepy and haunting and I really liked the main characters even though they were both quite flawed as people and not necessarily very lovable people. There were strong echoes of Stephen King in parts which is hardly surprising in his son’s first novel but it never felt faked or forced and by the end Hill had found his own voice and stride which is just as strong as that of his father. This more than made up for the creepy story I felt I missed out on last month with the disaster that was The Loney. How Hard Can Love Be? by Holly Bourne (5/5*) is the follow on book to Am I Normal Yet? that I read back in May. I truly love these books, they found me at a time I really needed them and made me feel better about life in general. They make me laugh, they make me think and they leave me feeling hopeful about humanity and life which is a miracle in the current world climate. 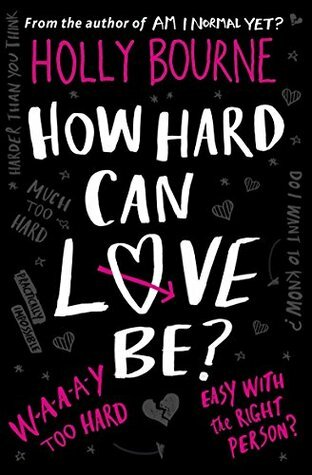 Meeting Holly Bourne at YALC was a highlight for me and I bought another of her books and got it signed – expect a review soon! 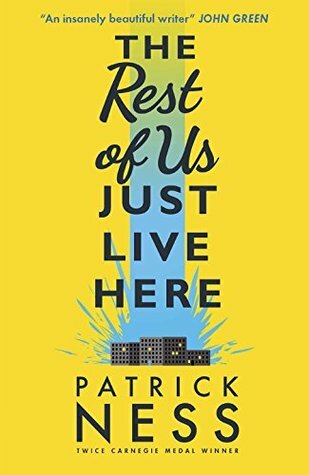 I bought The Rest Of Us Just Live Here by Patrick Ness (4/5*) at YALC after listening to a panel with him and the lead actor of the film adaptation of one of his other books (A Monster Calls, out around New Year in the UK, looks amazing!) and falling a little bit in love with him. I loved how The Rest Of Us was all about the ‘normal’ people at the sidelines of a story. The main crazy adventure was all happening to other people, you got mini summaries of it at the start of each chapter, and the characters you were with just had to live with the side effects. It was clever how the characters were always on the edge of the action – not directly involved but affected enough that it impacted their every day lives. I have added Patrick Ness’ back-catalogue onto my wish list for the future. Phew! At the end of that lot I am now at 30/36 books completed in 2016 – Almost there! Sorry for the long silence, it feels good to be back.